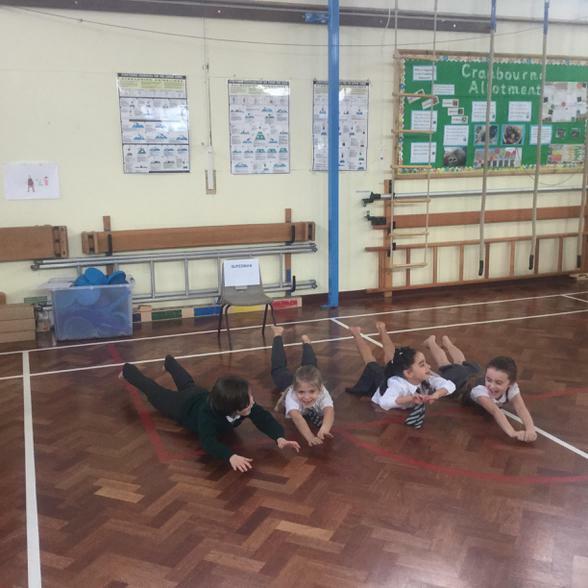 You can read our PSHE policy by clicking on the link below. 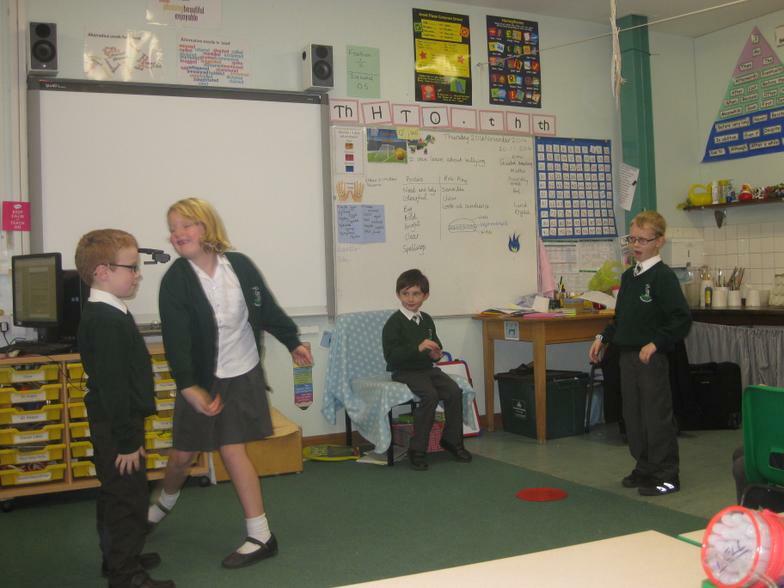 Year 2 playing games with residents at Belmont View - what great fun! 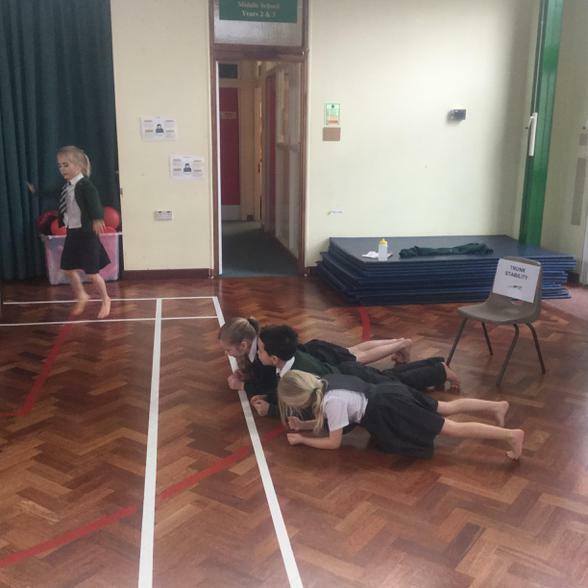 Year 4 have been learning what affects their physical, mental and emotional health. 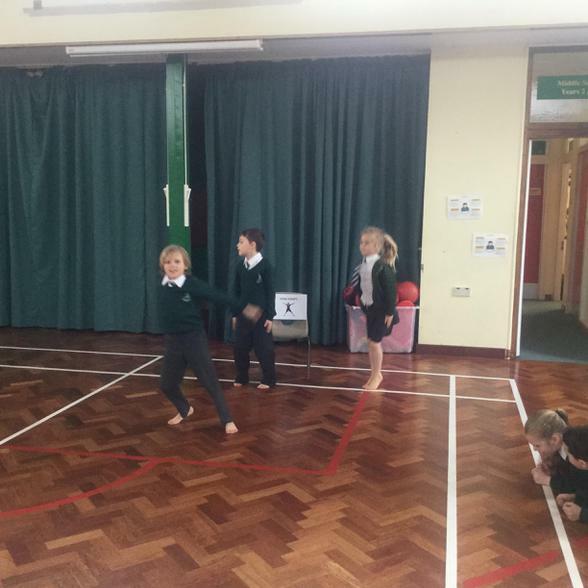 They tried out a few activities and discussed how these altered their mood. 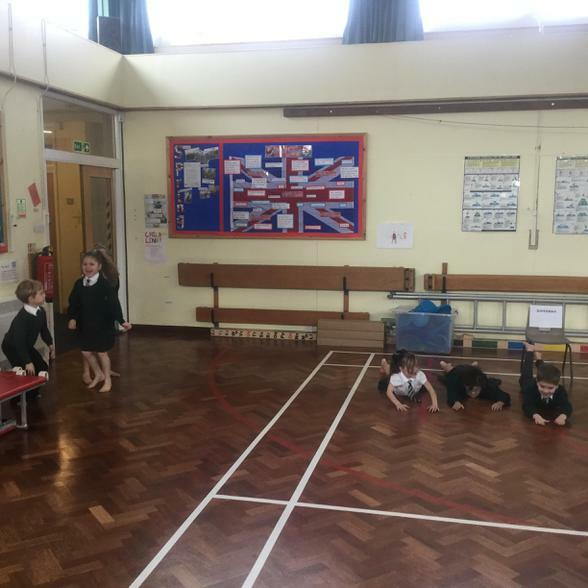 Year 1 were getting ready to move to Year 2 in September. Which children can you recognise from these models? 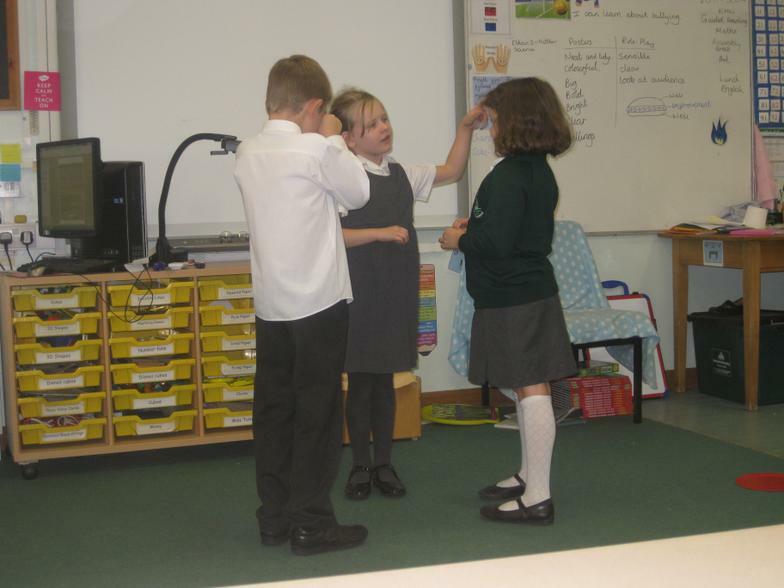 Year 4 have learnt about teeth and keeping them healthy. Look at these amazing models! 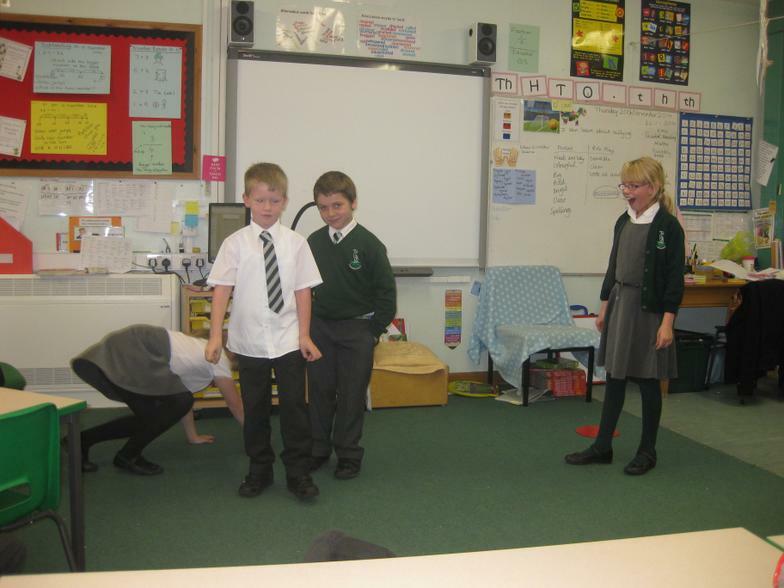 Year 2 were learning about how we show that we belong. We made special boxes to show important things about ourselves. Democracy Week 2017 was such fun and very informative! 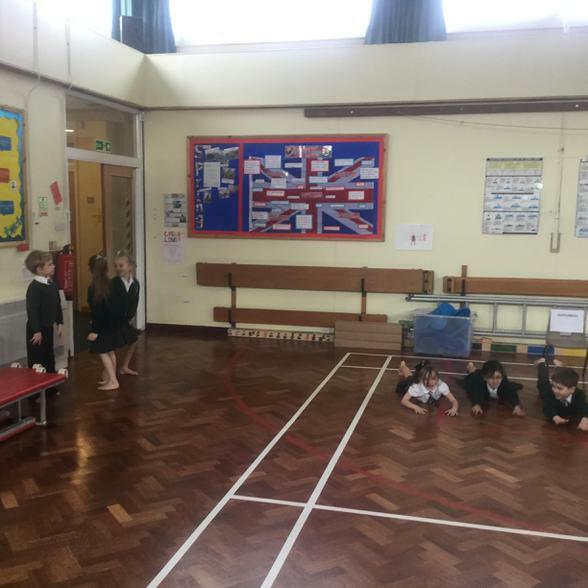 We learnt about famous people who changed the way we vote, voted on a range of issues throughout the week, voted on the name for Cranbourne's new mini-bus and learnt about democracy in Britain. 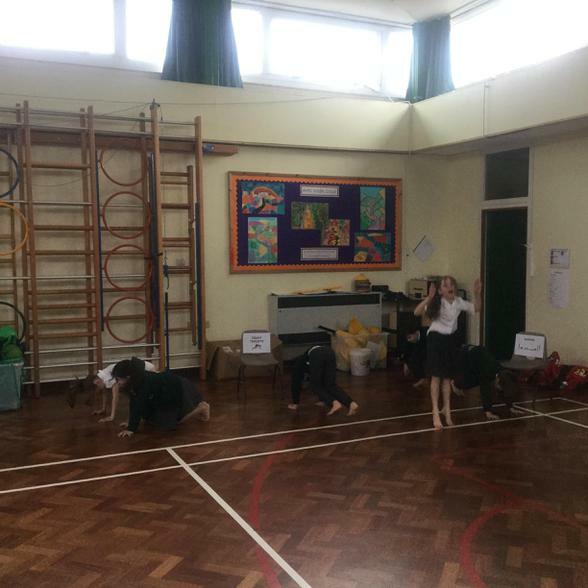 What a lot of fun we had doing our workout to raise money for the NSPCC! 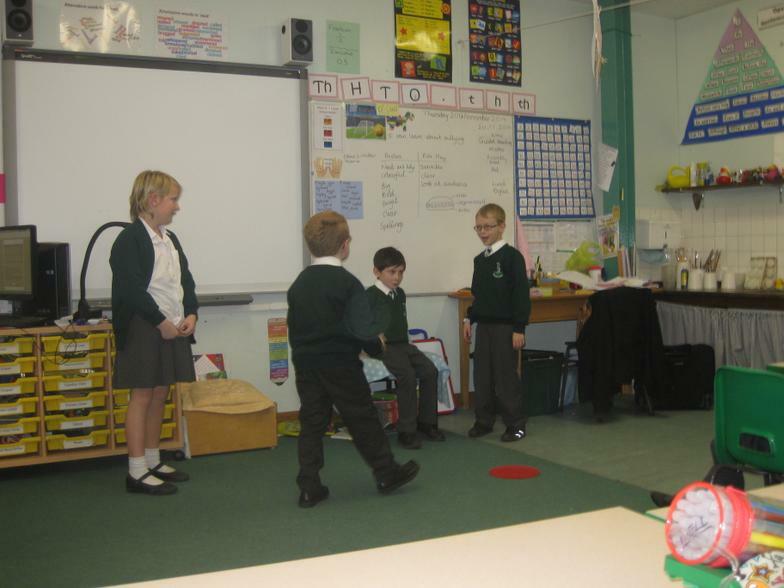 NSPCC Stay Safe campaign - A very informative presentation by Laurie. Keep a look out for our sponsored event to support the NSPCC. 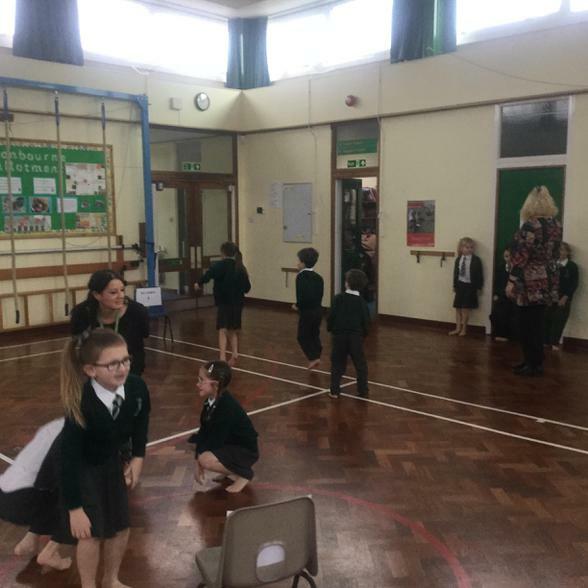 The theme this year was 'Power for Good' where we thought about the ways in which we can help other people by using for good the power inside each one of us. Christmas Jumper day for Save the Children! November is 'Anti Bullying' month. At Cranbourne, we take this matter very seriously and each year spend a week teaching this topic specifically. This year our Anti-Bullying week will be the week beginning 17th November. 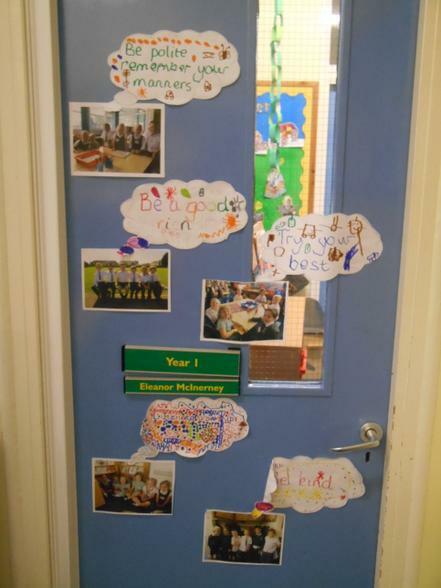 Be sure to check back to find out what the children have been up to. 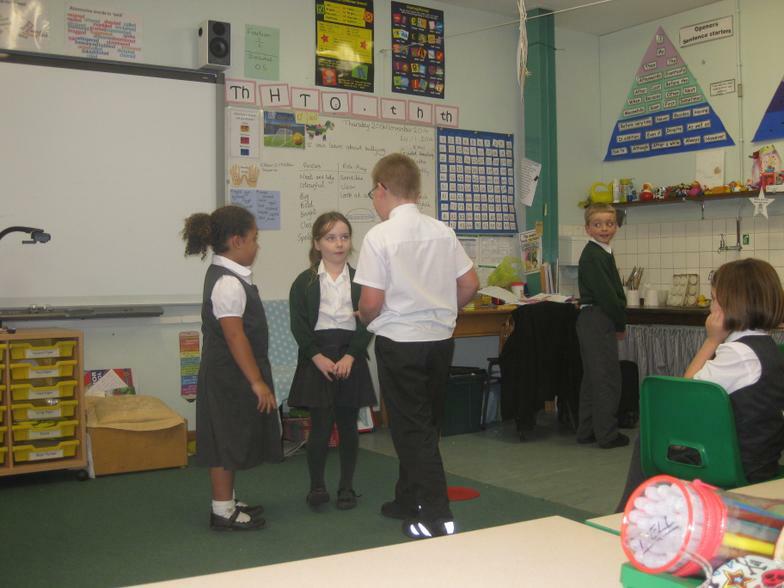 Year 2 looked at the poem 'Not Again' as a way of exploring what bullying is. 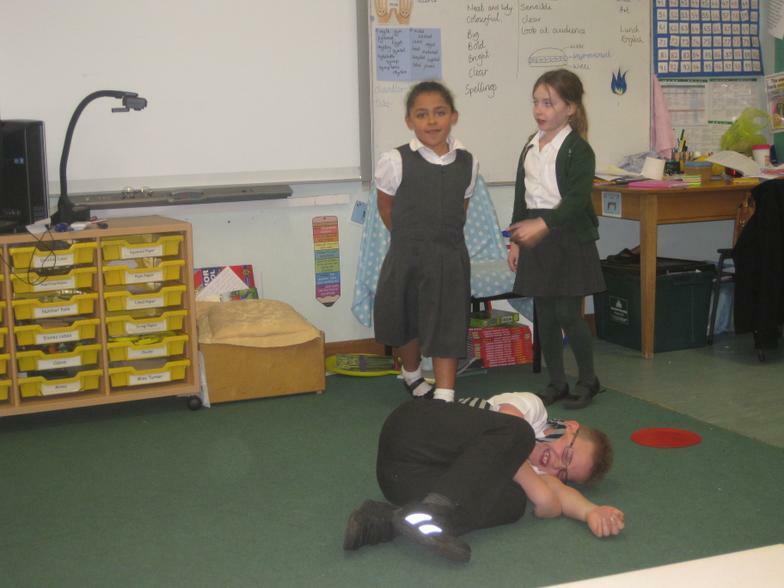 The children hear the poem and from it had to work out what bullying was. 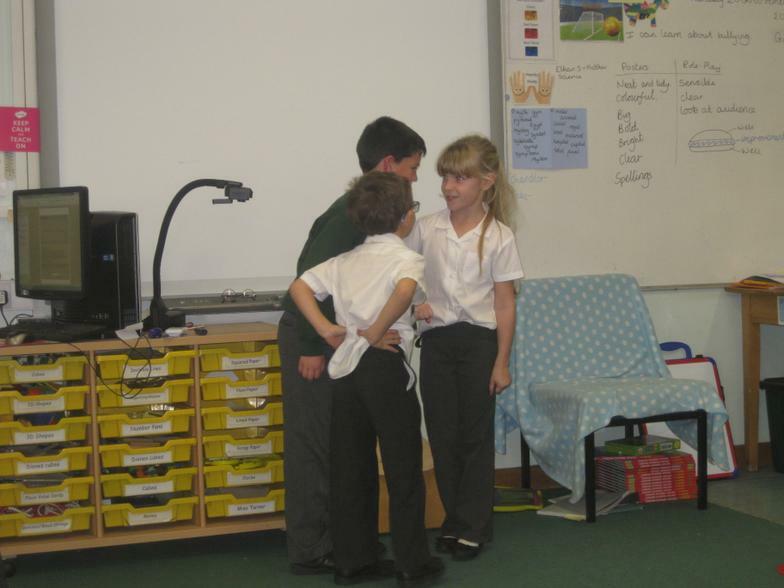 They discusses ideas with each other and the teacher. 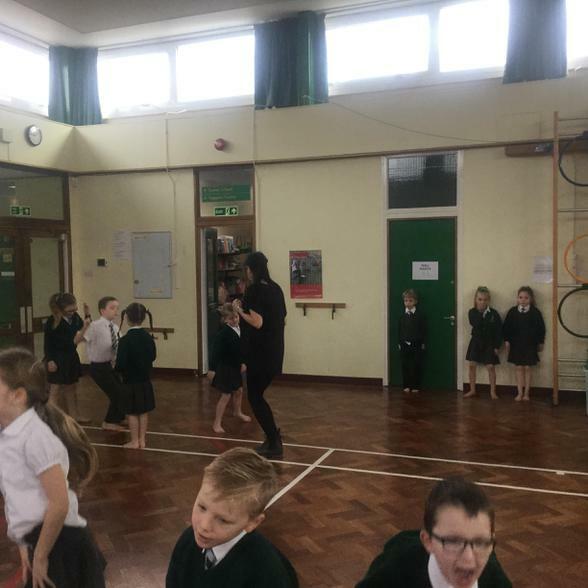 They enjoyed hearing the poem but really disliked what was happening, especially as the poem was left with the child feeling lost. As a challenge they had to come up with a final verse. Here is the new and improved 'Not Again' Poem. And I have no joy. On Wednesday, he took my lunch. I found it in the bin. He kept kicking me in the shin. Pretending to be sick in bed. As I am always scared. Seth hurts me on my birthday. Before he causes me more harm. 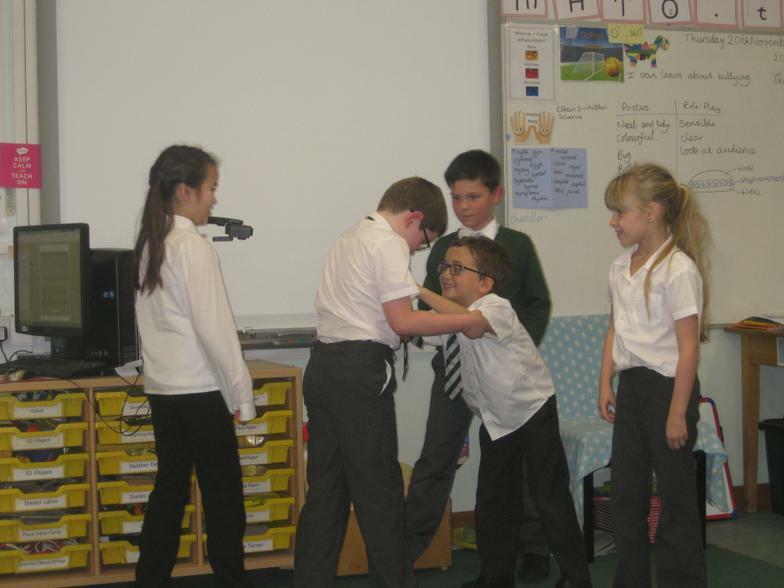 The children have used teacher in the poem, but know that it is important to tell any adult if they think they are being bullied. Look at all the different things we have done this week. 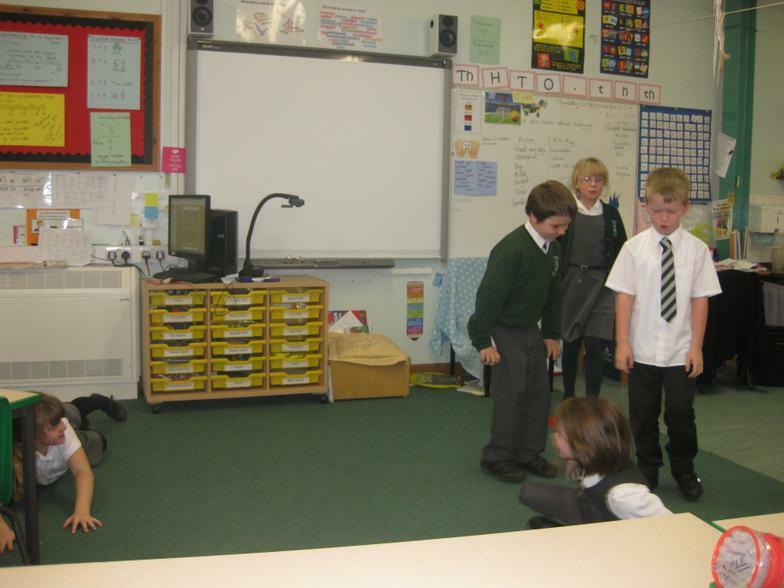 Above you can see pictures from Anti-Bullying Week. 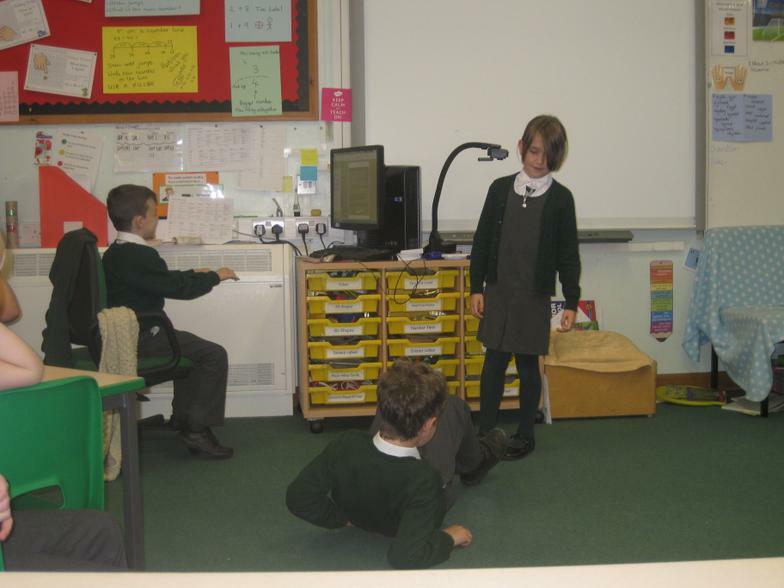 You will be able to see Year 3 role playing scenarios which include a bystander. 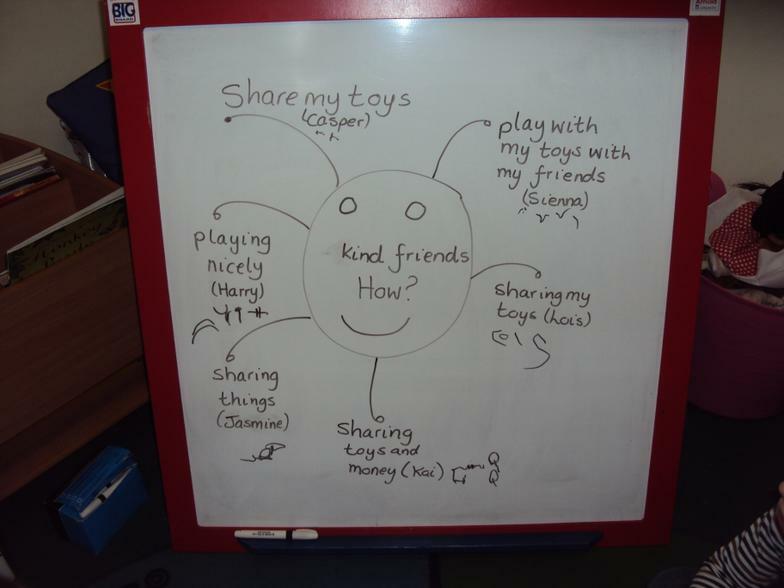 Nursery's what it takes to be a good friend mind maps. 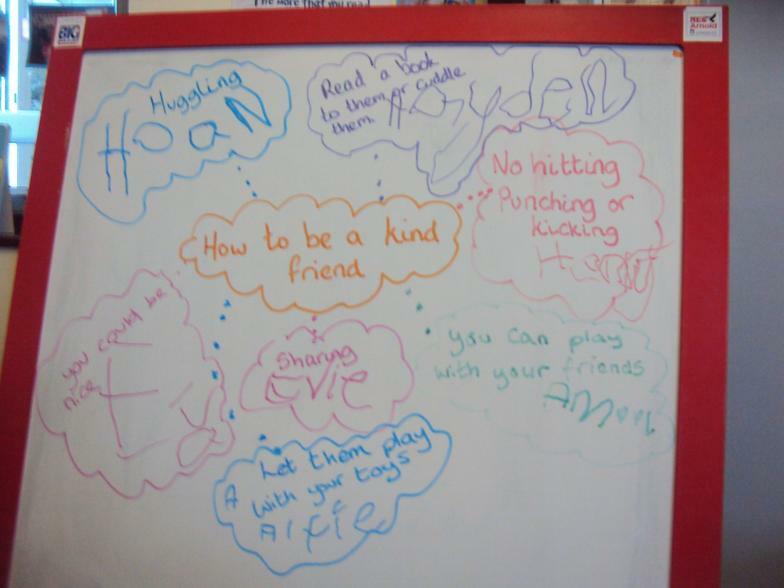 Year 2's what to do if your being bullied posters and Year 5's Childline posters. 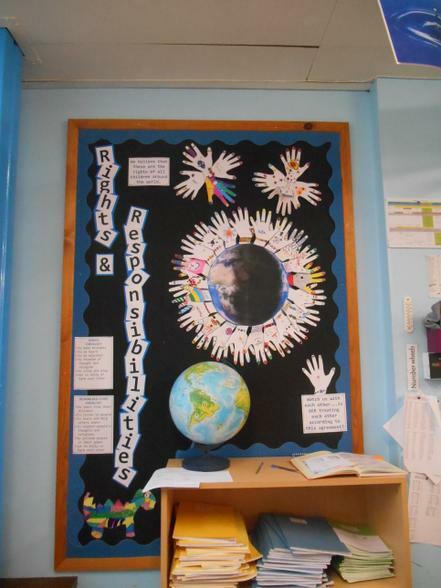 We have been developing our children as members of society, as part of this we have achieved level 1 in the Rights Respecting Schools Award. 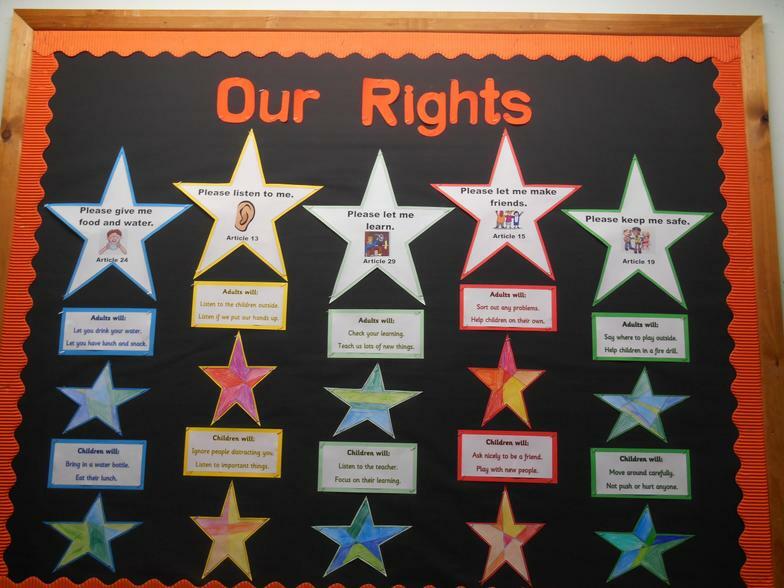 The children have been learning about their rights and the rights of others. 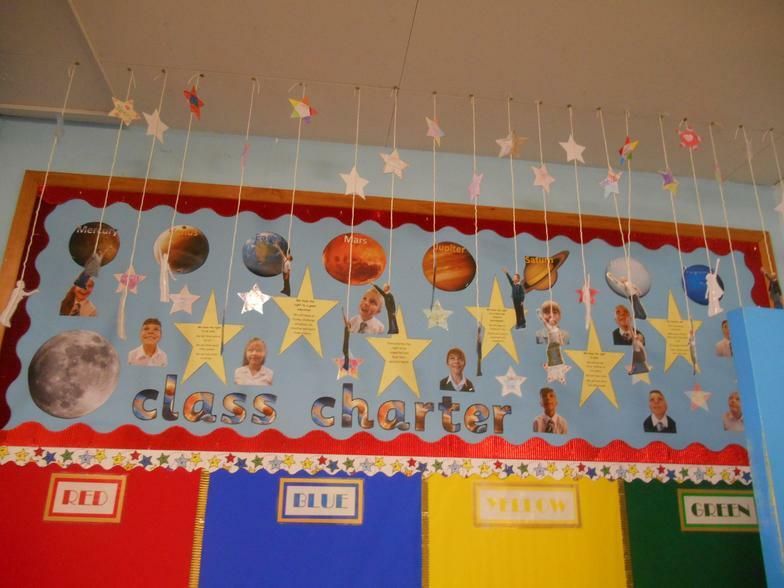 At the start of each year the children recap these rights and make a class charter. 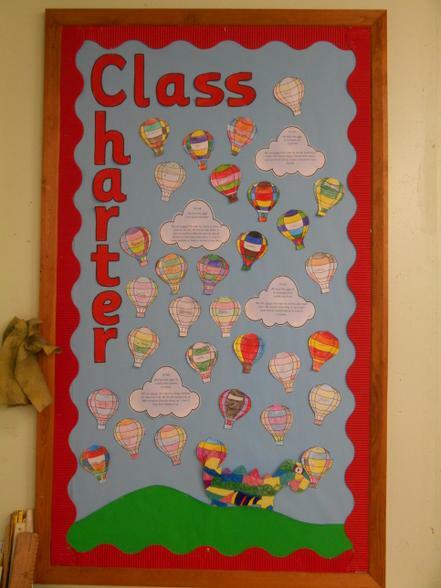 These charters are used in conjunction with the class rules and are a guide for how to behave in school. 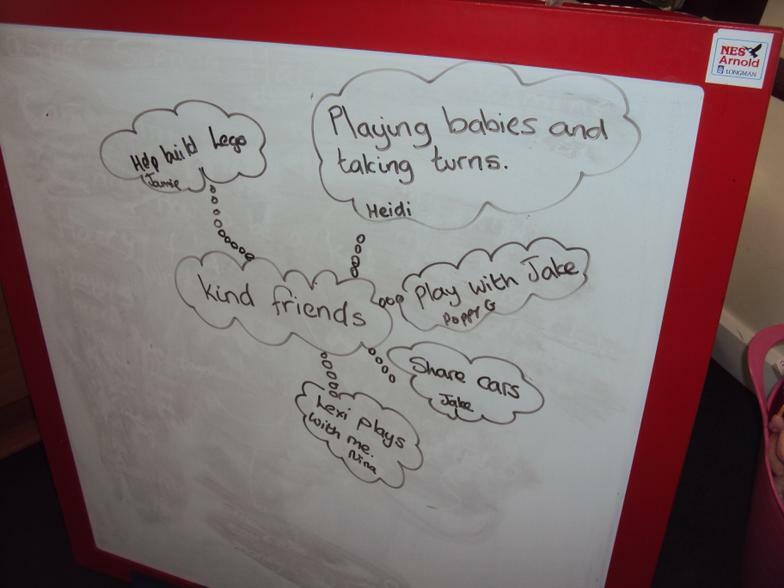 PSHE in Reception is everywhere. 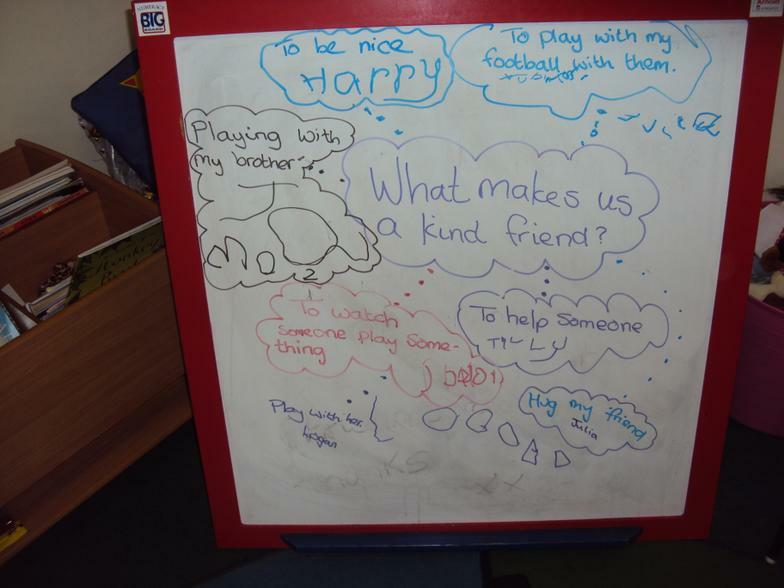 One way the children are encouraged to partake in PSHE is by the use of Barney and Bertie Bear. 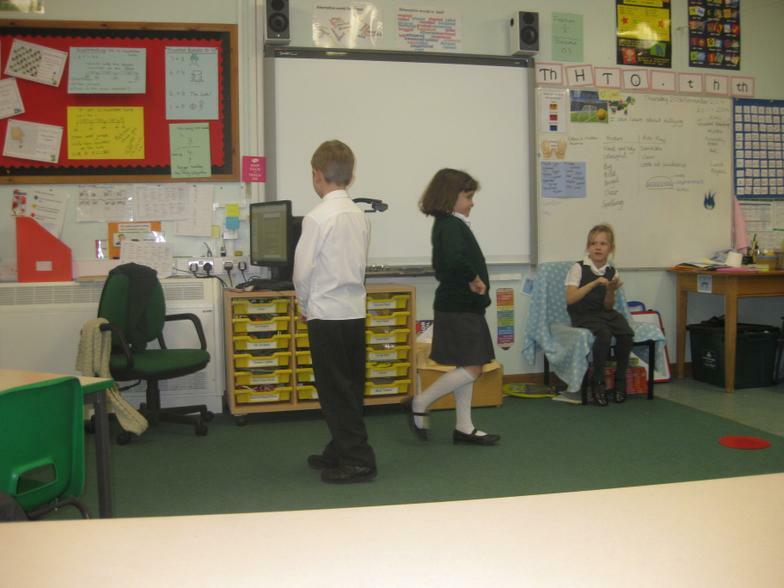 Each week a different child takes home the bear and they are tasked with learning something together. 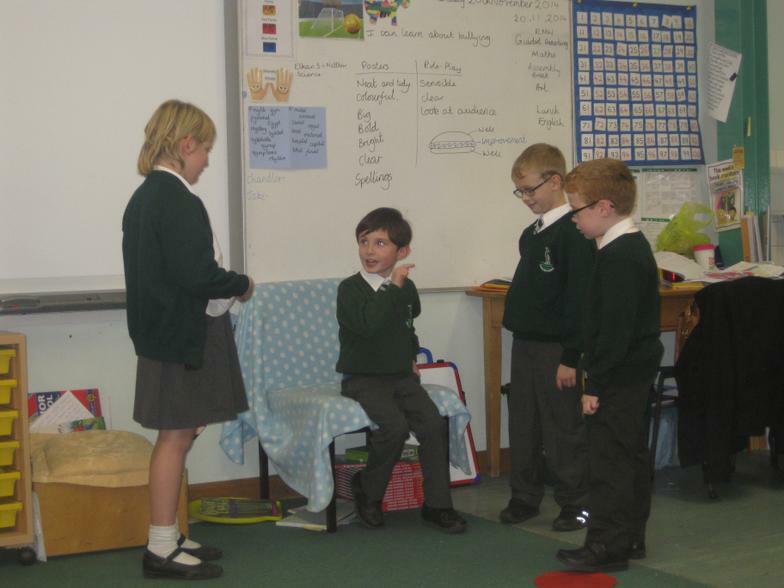 In the past children have taught Barney/Bertie; how to cross a road safely, make a sandwich, how to put on a jumper and how to play nicely together. 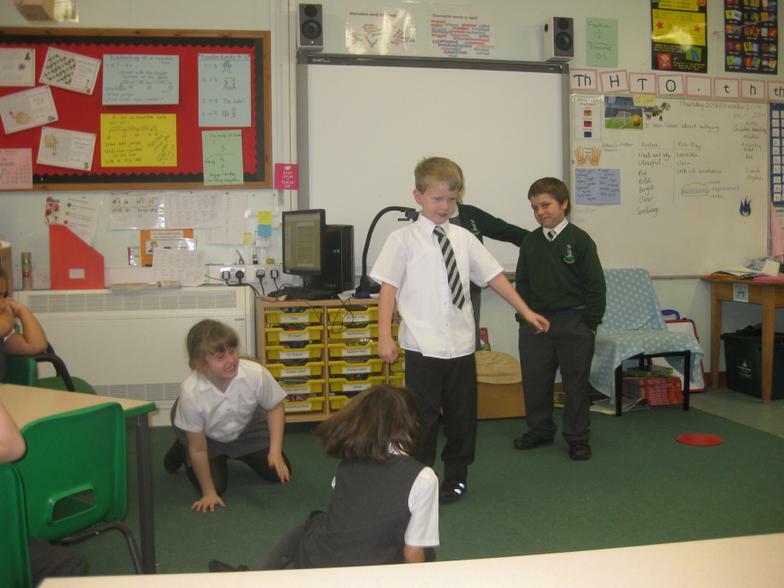 Part of PSHE is teaching children about how to cope with change. 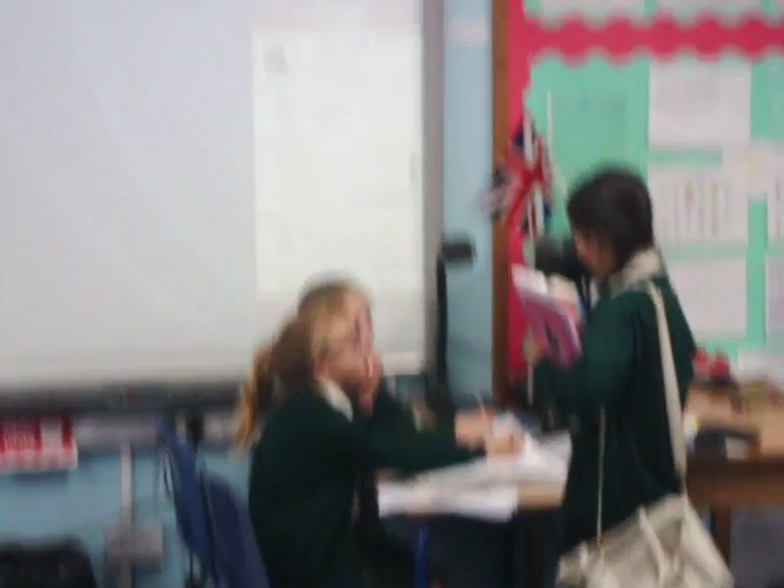 The big change within school is moving year groups. 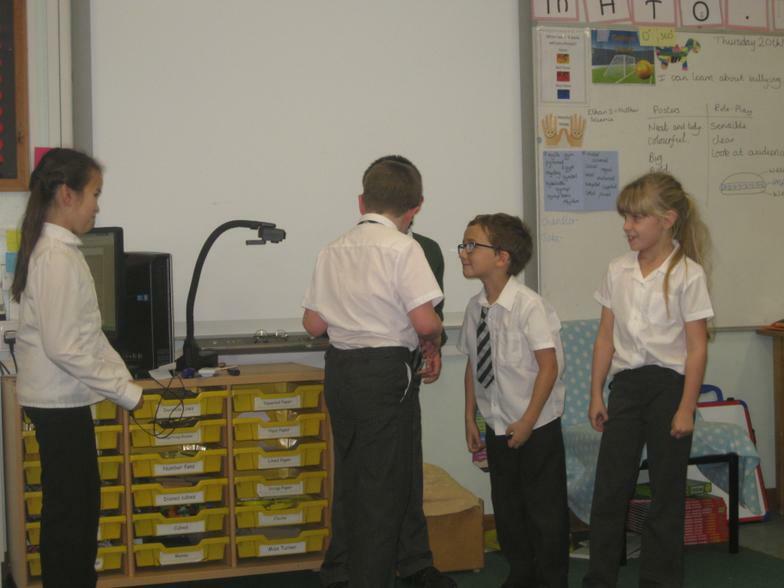 Each year in July the children spend the morning with their new teacher. 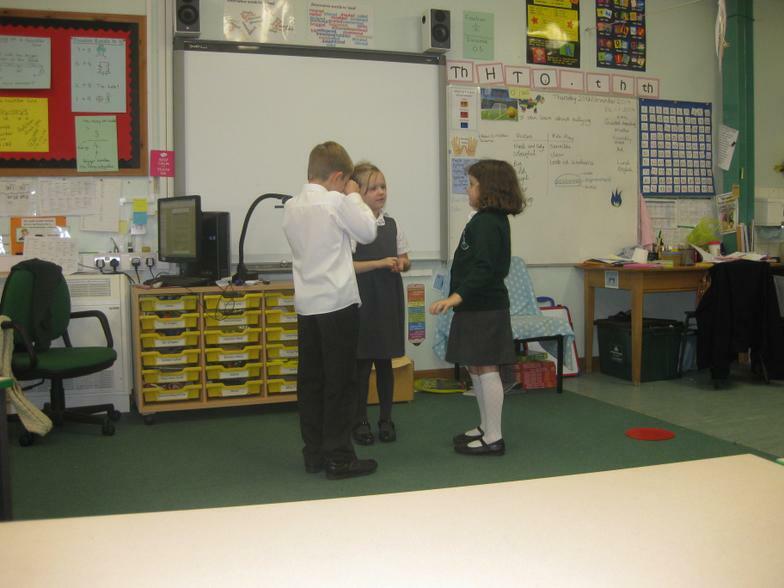 On this morning children can ask questions and begin to tell their new teacher about themselves. 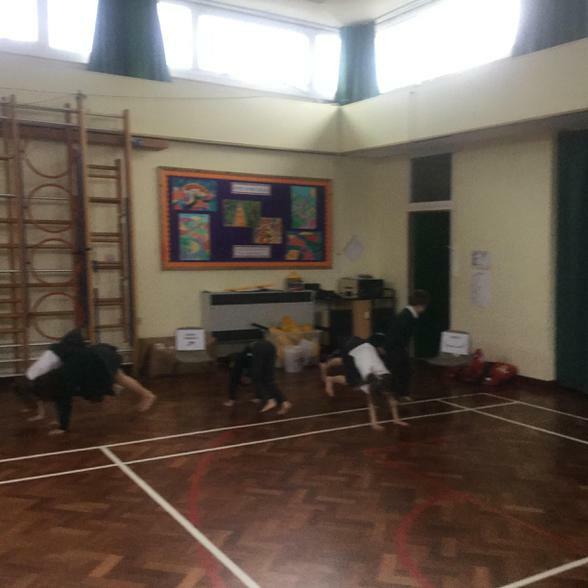 This normally takes the form of an activity which can be displayed at the start of the year. Above are some examples.